In 2017, Torrentz2, the popular meta tracker, decided to stop linking to external sites. Without external links, the site became largely unusable, prompting many BitTorrent enthusiasts to look for alternatives. Even though external links have since then made their comeback, nobody knows if they won’t disappear again, which is why we’ve decided to create this list of the top 7 best alternatives to Torrentz2. 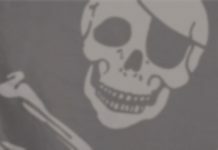 Lately, The Pirate Bay has spent more time offline than online, but that doesn’t change anything about the fact that this legendary torrent site remains online more than 15 years since its launch. The design of The Pirate Bay is clearly inspired by Google, and the site itself is just as usable—as long as you can look past the ads, pop-ups, and the fact that you agree to XMR being mined using your CPU just by entering the site. The Pirate Bay has everything from music to movies to software applications to games, but it’s sometimes difficult to find a torrent with enough seeds. RARBG is a popular torrent tracker where you can find releases from the torrent distribution group RARTV, which specializes in TV shows. Apart from RARTV releases, the tracker has all sorts of content from various scene and peer-to-peer groups, including movies, games, music, software, and more. It’s very rare to stumble across a malicious torrent on RARBG, which is why we recommend the site as a safer alternative to The Pirate Bay. 1337x is a polished torrent tracker that saw increasing popularity after the closure of KickassTorrents, in 2016. 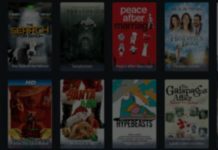 Being a general-purpose torrent tracker, 1337x offers a balanced mix of movies, games, music, software, and other content. The site has been touted as a potential alternative to The Pirate Bay, and it has multiple alternative domains, so its availability is quite good. LimeTorrents isn’t in the limelight very often, but it actually deserves a lot more attention than it gets. Yes, its design feels dated, but its selection of torrents is healthy, and that’s what should matter the most. Unlike more popular torrent trackers, LimeTorrents is online basically all the time. The site has a useful FAQ section that explains the hierarchy of torrent release quality and terms such as CAM, TS, SCR, and DVD-Rip, so make sure to check it out when you decide to pay LimeTorrents a visit. TorLock is an up and coming torrent tracker with a fresh design and even fresher torrents. You can browse torrents by category, search for specific torrents directly using a handy search bar, or see what the top 100 most popular torrents are. TorLock has its own news section, which focuses on BitTorrent- and privacy-related topics, such as the Article 13. Zooqle is a rising star among torrent sites. With nearly 4 million verified torrents and plenty active seeds, Zooqle is a great source of recently released and cult classic content alike. We love its home page, which conveniently lists all popular TV shows and movies and provides access to the most seeded torrents. Apart from English, Zooqle is also available in Russian, which is where the site comes from. TorrentDownloads is a perfect backup tracker, and we mean it in the best way possible. There are trackers with better design, more exciting features, larger selection of content, and even higher uptime, but only a very few torrent trackers are as balanced as TorrentDownloads. When your favorite torrent tracker goes down, be sure to remember that TorrentDownloads is around. There’s nothing illegal about using the BitTorrent protocol to distribute data and electronic files over the internet. Of course, torrents, just like virtually any other technology, can be used for illegal purposes as well, which is why many internet services providers (ISPs) block them, or at least monitor them. If you care about your privacy and would like to protect it, we highly recommend you use a VPN service like NordVPN to prevent unauthorized third parties from snooping on your online activities. With NordVPN, you can direct your traffic through an encrypted tunnel that makes it impossible for anyone to see what you’re doing. From the point of view of your internet service provider, you’re just sending and receiving random data instead of movies, games, and music. NordVPN works on Android, Windows, macOS, iOS, Android TV, Linux, Chrome, and Firefox. Complete your order and download the NordVPN client. You can enjoy NordVPN for as little as $2.99 per month if you pay for 3 years of service upfront. NordVPN gives you access to more than 5,000 servers worldwide, and the company adheres to a strict no logs policy to protect your privacy. Trackers Versus Meta Trackers: What’s the Difference? As you may already know, the BitTorrent protocol relies on small files, called torrents, to distribute larger files. All torrent files contain a section called “announce,” which specifies the URL of the tracker that coordinates the file distribution and tells BitTorrent users which other peers have the missing pieces. In other words, torrent trackers are basically large repositories and junction boxes at the same time. Most torrent trackers allow their users to search for torrents, but what if you want to search multiple torrent trackers at the same time? That’s where meta trackers come in. Meta trackers don’t host any torrent files on their servers. Instead, they are essentially search engines for torrents. 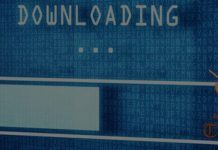 While more popular content can usually be found on just about any torrent tracker out there, things are much complicated with older content. That obscure French movie you saw last year? Don’t expect to find it on the first try. To increase your chance of success and save yourself a lot of time, you can use a meta tracker like Torrentz2 to scour multiple torrent sites at the same time. Just like all other torrent trackers and meta trackers, Torrentz2 has to protect itself from copyright watchdogs. In 2017, the popular meta tracker decided to remove external links, probably because it wanted to stay as low as possible. At the moment, external links are back, but who knows how long they’ll stay. Fortunately, you can skip Torrentz2 and download torrents straight from individual torrent trackers. To help you separate the wheat from the chaff, we’ve put together this list of the top 7 best alternatives to Torrentz2 and described how you can use a VPN service like NordVPN to protect your online activity third parties.